We had a serious problem – dry rot – in our 70’s style house windows. Raymond & Tom Bateman had the solution. As journalists, and since our job was worth over 70K, we looked very carefully into all the suppliers we invited to quote. We were very comfortable to proceed with The Door & Window Exchange because they were obviously experts. When it came to quoting our job it was obvious Raymond knew his trade. We had a clear idea of what we wanted, in our case wooden windows which were sympathetic to the original house design – but we are not experts. We were delighted Raymond didn’t try and “up-sell” us on anything – he listened and gave us some terrific advice which has dramatically improved the look of the house. Perhaps the moment of truth is payment at the end of a job. In our case, during a final check over we discovered a slight “factory” crack in one of our new panes of glass. Obviously this disappointed everyone but there was never a question about getting it replaced in a reasonable time. We held back $1,300 but happily paid the rest for the hard work already done. A fortnight later the glass has been replaced and we are just waiting on our painter…. If you want to verify this testimonial, feel free to ask Raymond for our email address. Just thought I would drop you a line to say how happy I am with the square bay window you installed for us last year. I know it’s just a window, but it was a source of discontent for us for many years, a Gerri-built nightmare, something that was never supposed to be. It may be grey, not brown but it blends in nicely and it was good that I was able to work in with your installers and they too were accommodating in lifting the roof the 60mm it had sagged, then installing the corner posts I supplied, that were never there. Its nice, pleasing and a relief to pull in the driveway as by greeted by the sight of sharp lines, it’s just as pleasing sitting inside. The new window is great – please pass on our thanks to the team. 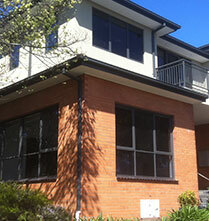 Servicing Melbourne Metro Area and the Mornington Peninsula. We've been turning your ideas into reality for over 25 years. 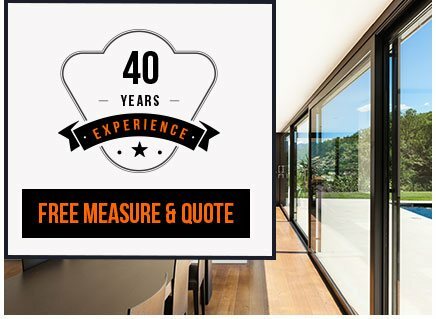 The Door and Window Exchange manufacture and install quality replacement doors and windows throughout Melbourne, allowing you to upgrade your home or business in an instant. 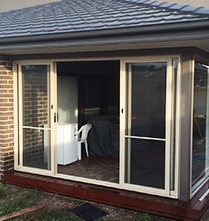 When it comes to window or door installation in Bentleigh, ensure you are in the right hands by option for the Door and Window Exchange. 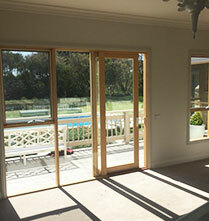 Considering adding French doors to your Bentleigh home? The Door and Window Exchange can help! French doors are known for their timeless beauty and ability to vamp up the appearance of your property. 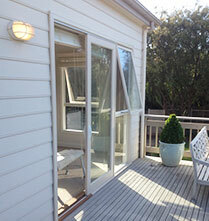 Make a smart investment today by talking to the Door and Window Exchange about our French doors in Bentleigh! Thanks to a window replacement, Bentleigh residents can freshen up the exterior of their home while making their interior more energy efficient. 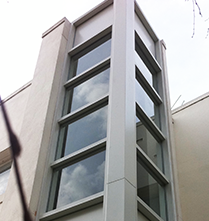 Talk to us today to discover the options available to you – we work with both timber and aluminium to create a number of stunning designs! ©Copyright The Door and Window Exchange Pty Ltd 2019. All rights reserved.